Geoff Theasby reported on the Auckland Model & Experimental Engineers. Of interest to me, because I have one, and I loathe hitting the draw bar to release whatever is in the quill, can Geoff or Graham Quayle or someone else expand on the topic "Simple Screw Pusher to Release the Drawbar" as I would be pleased to stop my brutality. There are photos in my albums of a draw bar release for an X2 mill that may be of some use. Here's my simple solution, a collar on a draw bar (with a spanner square on the end) and an end cap with a left hand thread. I had to thin the upper locking nut as well. "Works every time". I am not into this forum but you may wish to respond. The pusher referred to is as shown in the attached photos. To use it one backs off the draw bar a couple of turns, attach the pusher to the top of the splined spindle and screw down the bolt. The bolt needs to be a large diameter fine thread one. The bolt I used was a 7/16" UNF but in reality it would be better with a finer thread. 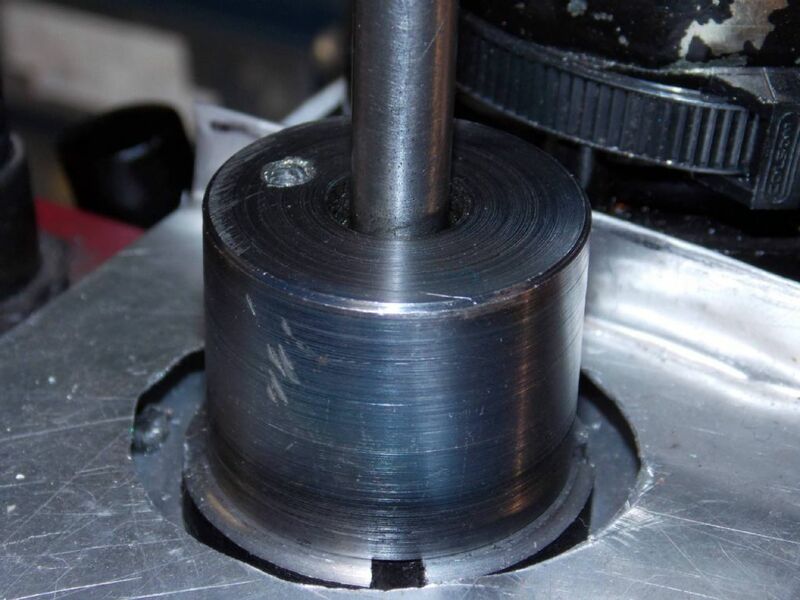 The splined spindle was taken out of the mill/drill and grooved as shown, that's the only modification to the machine. One failing of users of these morse taper mill/drills is they tighten the draw bar as though it needs to be absolutely as tight as possible. 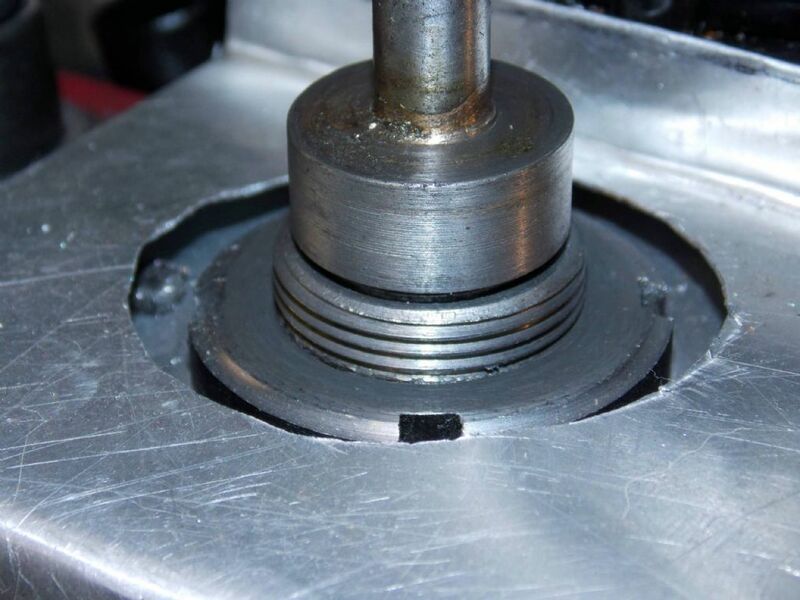 It only needs to be just a little more than finger tight so that the chuck or what ever does not spin in the taper. John - thank you for bothering to contact Graeme for me. Please pass my thanks to him for going to the bother of photographing his "solution" to this violent activity! Perhaps M.E.W. will publish his solution? It may need expanding with notes on removing the quill. These mills are very common in Australia. I'll pass this on the Graeme, although I know he is busy at the moment putting together the next issue of our local steam engine society magazine. Personally I think I could come up with a nice way to make the required groove without the need to remove the quill from the machine. Much the same as the way I trued up the flywheel for my steam launch engine while running the engine on compressed air. Well, I didn't have a lathe big enough for that job!